“AT&T FamilyMap is a terrific tool to help busy families keep track of each other, as well as a great way to check up on loved ones for any reason, such as to touch base with elderly family members. More than 60 percent of AT&T wireless customers are part of a family plan or multiple line account, so there’s a considerable number of our subscribers whom we believe will find this service beneficial”, according to Mark Collins, vice president of Voice and Data Products for AT&T Mobility and Consumer Markets. Additionally, the service provides alerts at specified time via a text message. 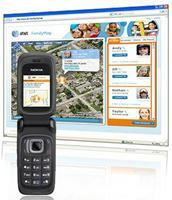 Users can also locate stolen phone with the FamilyMap service. The location information is returned with the highest precision when A-GPS (assisted-GPS) technology is available. Alternative location-finding technologies will be utilized to locate users when A-GPS in unavailable. The users who sign up for the service will enjoy the first 30 days free. Users can locate up to two phones on an account for a monthly subscription of $9.99 or up to five phones for $14.99 per month. The service is compatible with all AT&T postpaid mobile phones.